What can be done when a system of schooling is failing? 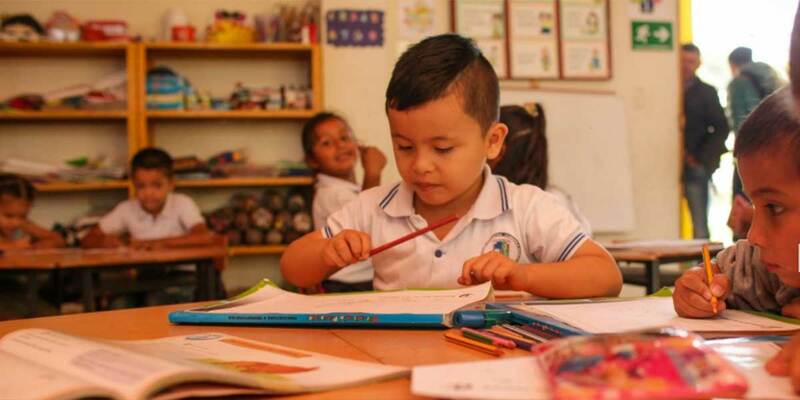 You have to rethink everything and start from the beginning, says Vicky Colbert, executive director of the Escuela Nueva Foundation and former vice-minister of education in Colombia. And that is exactly what Colbert and her colleagues did in the 1970s when they recognized that rural schools in the country were faltering due to a lack of understanding around the unique challenges that their students faced. What they created — first seeking buy in from the government, school leadership, teachers, and parents — was a “new” model for primary education that was child-centric, focused personalized learning, and imagined a new role for the teacher in which lectures were de-emphasized in favor of facilitation of classroom discussion and cooperative learning. Now in 20,000 schools in 19 countries, including Brazil and the Philippines, Escuela Nueva became national policy in Colombia in thelate 1980s. The policy has had significant impact in Colombia with higher rates of attendance, lower teacher turnover, and improved student achievement. In this edition of the Harvard EdCast, Colbert, who was at HGSE as one of the inaugural Yidan Prize laureates, discusses the unique model of Escuela Nueva and her goals for the future.